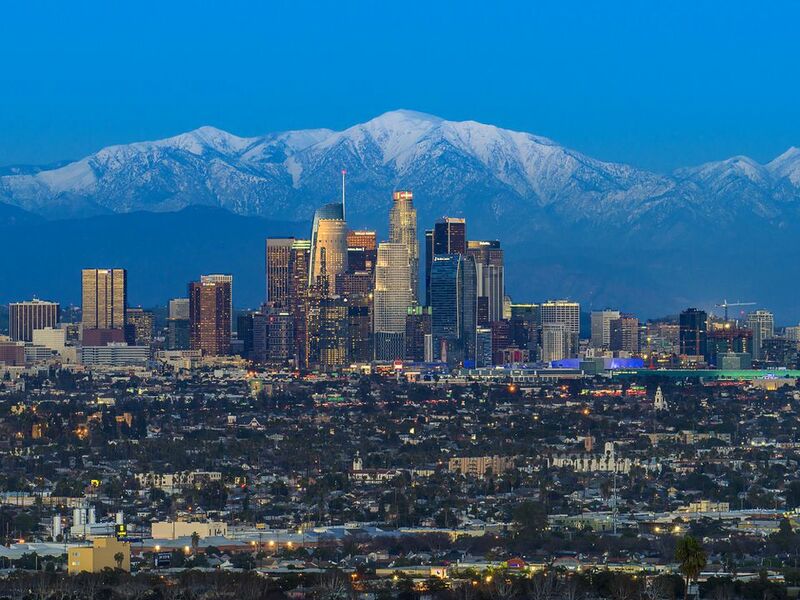 If you're flying into Los Angeles, there's a good chance that you'll be wanting to rent a car because while it's not the only option for getting around, it's probably the most practical for the majority of visitors to the sprawling metroplex of Los Angeles. Renting a car at the airport is usually the most convenient option if you have to rent a car, and usually, airport rental companies have the best prices; occasionally, though, you'll find specials that are only at off-airport locations. It's difficult to get a good price comparison for Airport and non-airport rates at sites like Kayak.com or Travelocity.com, but for a random bunch of dates, airport rates were always less, and both sites had rates less than the individual vendor sites. There was no clear winner between Kayak, Travelocity or Expedia, as each of them had the lowest rates for different rental companies or cars. If you're flying into one of the Los Angeles area airports including Burbank and Los Angeles International (LAX), you'll be able to find a number of car rental company kiosks as the arrival terminals, but you'll have to take a shuttle off-site to pick up the car—usually from one of the long-term parking lots nearby. You should allow plenty of time between your flight's arrival and your first obligation in Los Angeles for picking up the rental car, filing the proper paperwork, and getting to your destination. If you're looking for something a little more adventurous to drive, you can also rent a Classic Mustang, California Roadster, or Moke Electric Car to cruise around the city, and most of the airport car rental companies offer these premium models for an additional charge. Alternatively, you can also check on travel and rental websites to compare prices elsewhere in the Los Angeles area, but chances are the airport offers the best prices—especially if you book your flight and rental car together through one of the airport's customer service representatives. Before you rent a car in Los Angeles, you'll want to make sure to learn all the best tricks and shortcuts for driving in this traffic-heavy city. Knowing what you should expect on the road in Los Angeles will save you tons of time and eliminate a lot of the frustrations first-time drivers experience when heading to this California metropolitan center. Of course, the most frustrating part of driving in Los Angeles is the traffic, so you also might want to get oriented to LA traffic. If you don't have access to GPS/Satellite Navigation via a PDA/smartphone or portable GPS unit, you might want to consider renting a car with a built-in navigation system to help navigate LA traffic. Keep in mind when calculating rental car rates that most hotels in Los Angeles charge a nightly parking fee, which can range from $10 to $40 per night, and the more expensive the hotel, the higher the parking fee will be. You'll also have to pay for parking at most attractions and most high-end restaurants, and streets in all commercial areas are metered while many neighborhood streets near commercial areas require residential permits to park, so your parking expenses per day may be more than the total car rental rate for the day.